Preliminary results from a forthcoming research report have shown the growing concerns athletes have about match-fixing in their sport with 34.7 percent of those surveyed believing that games at their level were manipulated. The research study has been revealed by “FIX the FIXING”, an Erasmus+ project coordinated by the Department of Physical Education and Sport Science of the Aristotle University of Thessaloniki (AUTH). It surveyed more than 600 athletes in six European countries, including Austria, Cyprus, France, Great Britain, Greece and Ireland, about match-fixing and whether they have experienced it within their sport. Athletes surveyed competed across 13 different sports, including athletics, badminton, basketball, football, gymnastics, handball, martial arts, rugby union, swimming, tennis, volleyball, water polo and weightlifting. Preliminary results from the survey showed 20 percent of the athletes were aware of a fixed game in their sport during the past 12 months, while 12.6 percent reported that they were aware that they had been involved in a manipulated game. In addition, early results also revealed that 15 percent of the athletes reported that they were approached within the last 12 months to fix a match with the majority manipulating a game due to financial difficulties or “to make easy money”. Results from the forthcoming report, which is due to be released in full later this year, also highlighted the lack of trust shown by athletes towards the governing bodies, preventing them from reporting information about an incident of manipulation. “The above findings show the extent of the phenomenon of manipulated games and highlight the need for immediate treatment through scientifically documented educational interventions,” Vassilis Barkoukis, coordinator of FIX the FIXING and assistant professor of AUTH, said. “At FIX the FIXING, our stakeholders and research partners are using a scientific approach to developing innovative new educational tools to combat match-fixing. “FIX the FIXING” is a research project designed to combat fixed games in all sports and at all levels. It sees a team of scientists and stakeholders from six European countries with expertise in corruption in sports work together to develop online educational material to prevent and combat match-fixing. The material will be able to be adapted and used by stakeholders, including educators, trainers and policy makers both within and outside the European Union (EU). It will inform stakeholders and athletes about prevention strategies and interventions against match-fixing. The “FIX the FIXING” project is funded by the EU. Also participating in it are Queen’s University Belfast in Northern Ireland, the University of Limerick in the Republic of Ireland, Austria’s Play Fair Code, the IRIS of France, the Cyprus Sports Organization, the Sport Integrity Hellas, the International Council for Coaching Excellence and the International Centre for Sport Security (ICSS). “This data shows that match-fixing is still a major issue within European sport and demonstrates that more can still be done to educate and train athletes, as well as preventing and reporting issues to relevant authorities,” Ezechiel Abatan, head of research at ICSS INSIGHT, said. 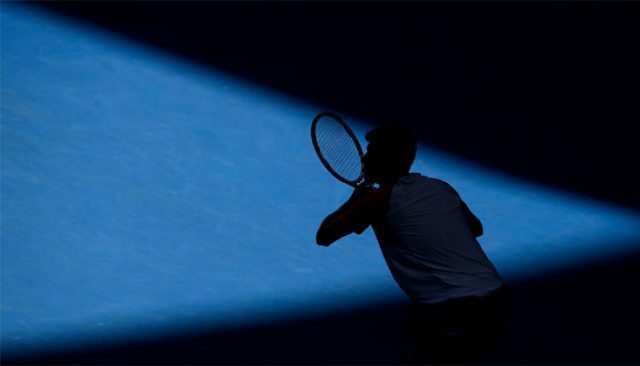 Earlier this month, it was revealed tennis accounted for 59 percent of suspicious betting alerts recorded by the European Sport Security Association (ESSA) during the second quarter of this year. The ESSA, the international betting integrity body, said it had reported a total of 53 cases across five sports – basketball, football, handball, tennis and volleyball – to the relevant authorities for further investigation. The figure for suspicious betting in the second quarter was significantly higher than the first. The ESSA revealed in April that there had been 27 reported cases, with the second quarter number representing almost a 50 percent increase.